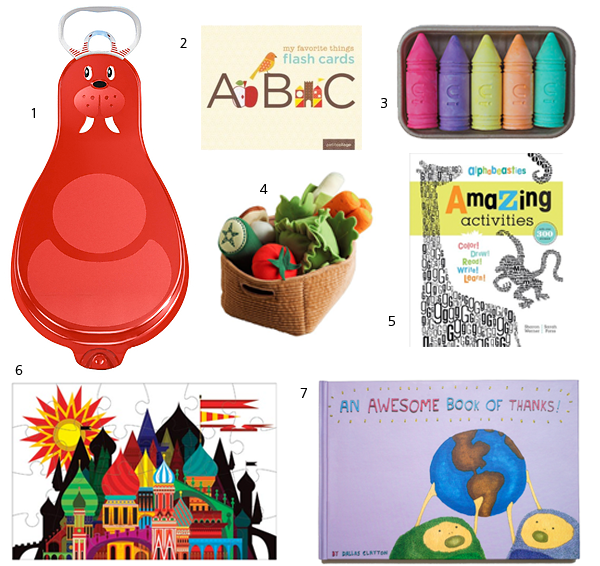 Here are some fun gifts for kids all $15 or under. 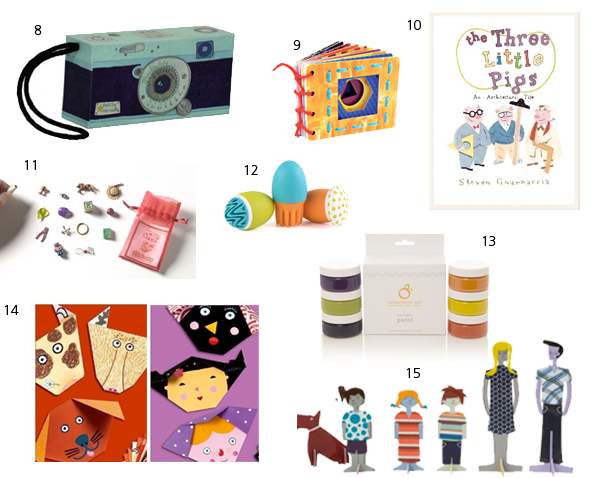 Find my other children's gift guides 15 under $15 guides here & here. these are GENIUS! all my little english students here in italy would love everything! Ahh I love everything on here! I included this as a part of my Guide to Holiday Gift Guides. If you want your link taken off the list, let me know. Happy holidays! This is just what I was looking for!! Everything in here is great and I'm glad nothing is gender-specific...thanks so much for posting this!! Very interesting ideas, I always try to buy a gift under $20 but find it more and more difficult. We end up with so many expensive toys just lying around collecting dust because kids lose their interest pretty quickly. I look at hundreds of dollars wasted thinking that I could have started a college savings planif I opted to buy cheaper presents.